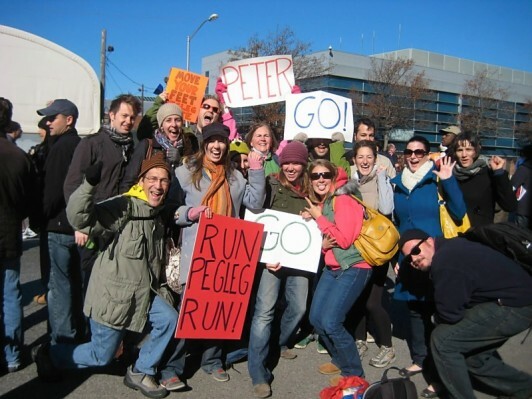 You run and you try to do your best… | Run, Pegleg, RUN! 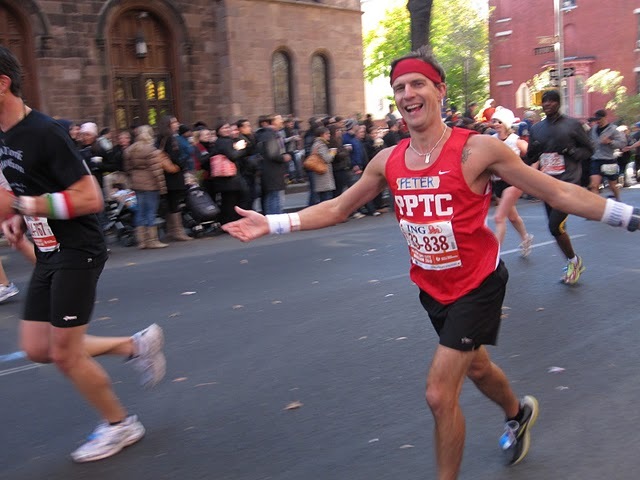 For me, my best yesterday, my first marathon, was 3 hours 16 minutes 38 seconds – a pace of 7 minute 30 second miles for 26.2 miles. I am extremely happy with this result. To put it in perspective, I came in 2217th place out of 44,829 finishers putting me in the top 5%. I can be proud of that. I knew my time goal was ambitious and to some degree arbitrary, though it would have been poetic to achieve. It’s kind of more interesting that I didn’t, the lessons learned deeper and are more important. After crossing the Queensboro Bridge around mile 17 running up 1st Avenue, my pace started to fall off a few seconds here and there. I’d try to pick it up, but each mile the deficit grew. It was great to know I would not make that time early on so I could stop paying attention to it and run the best race that I could. Which is exactly what I did. Thank you to everyone who came out to cheer me on. Brooklyn was especially amazing. You all were with me all the way. Towards the end, though, when tunnel vision descends and the finish-line was all I could think about, it was my Mom who was with me. Amazing job yesterday Pete!!!! Wish I could have been there! 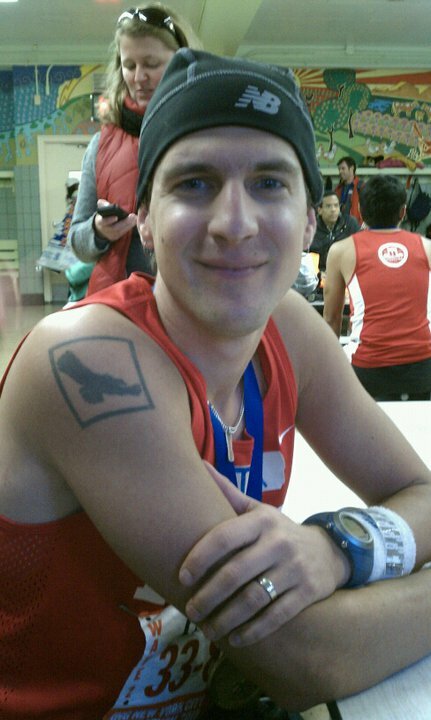 Joe and I thought about you running yesterday and hoped to get a glimpse of you on TV…but sadly we did not. So so proud of your accomplishment! Very impressive. Hope to see you soon! Thanks so much for opening yourself up for all of us these past few months. I honestly believe knowing you and reading your words and watching you run has produced far more good than you ever intended or humbly desired. I have recently become a sponsor for Gilda’s of Delaware Valley- again thanks to you. You did it! 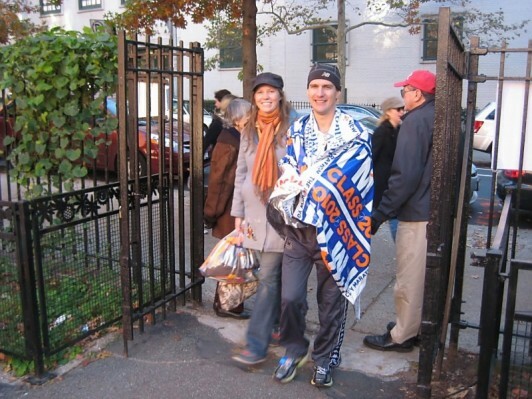 You set out to complete The New York Marathon, and did. All that preparation, the oh so many days of your training. You never once complained about any injuries or muscle pain. You trained in three different states, and are truly a hero and role model to many of your friends and family. 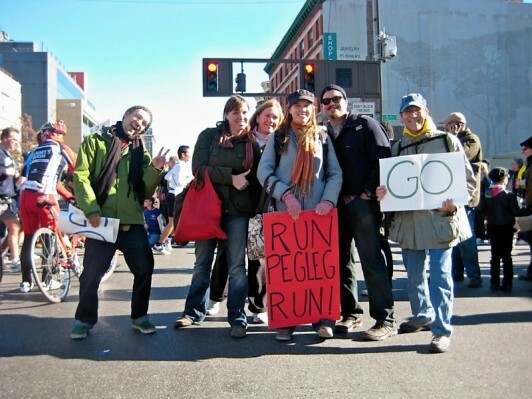 The amazing support you received (your multiple cheering sections) from Brooklyn to Harlem should remain in your mind and heart as a tribute to you as a person. Your life has touched many and will continue to do so. I am anxiously waiting to hear what is next in store for PEGLEG! Amazing job Pete! so so proud of you! while I was working I kept thinking about you and wished I had been outside cheering for you. I kept looking at the clock and once it was 10 am I knew you were up next. see you soon!